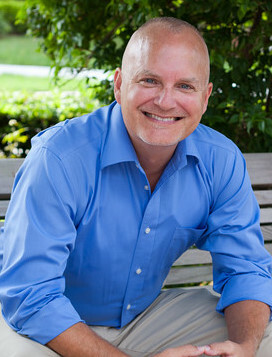 This is article #4 in the Orlando Flip or Hold series. Read article #1. Read article #2. Read article #3. Next to location, this, in my opinion, is the most critical piece of the "flip or hold" planning strategy. If there is ever a time to know the area market you plan to compete, it's now. The Lake Nona area is considered upscale, so certain finishes are somewhat "baked in" for buyers and tenants alike. Hardwood flooring instead of carpeting in the main living areas. Granite kitchen and bath countertops. Under-mount kitchen and bath sinks. Upgraded kitchen and bath faucet fixtures. Create breakfast bar seating area (added feature) and install pendant lights to showcase. Replace all baseboard with 5.25 inch profile including shoe base at wood floors. Install large (6 foot) ceiling fan in living room and two smaller ones in bedrooms. 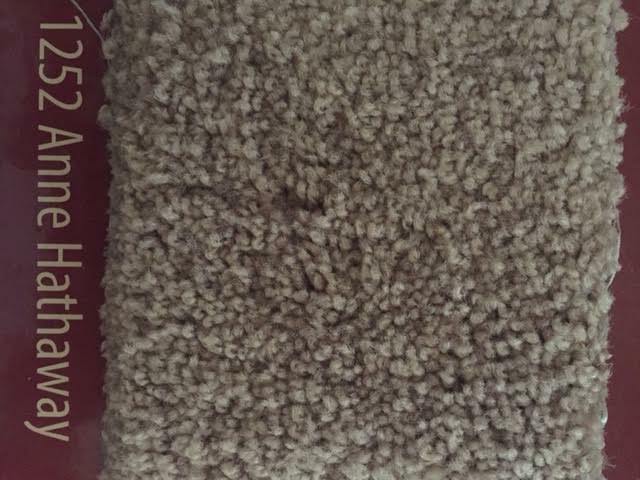 Good quality and matching carpeting with upgraded pad in both bedrooms and stair treads. Stainless cabinet hardware for both bathrooms, kitchen and pantry. Bath vanity lighting needs upgrading. Change grout color on kitchen floor tile, which makes tile flooring look new. Neutral yet interesting wall paint. Custom staircase creates a more luxurious feel the moment you open the door. 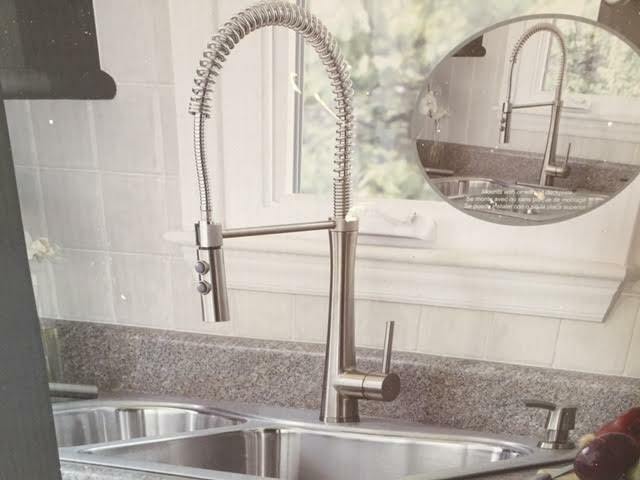 We chose this fixture because it's stainless, very functional and works well with deep under-mount stainless sink. 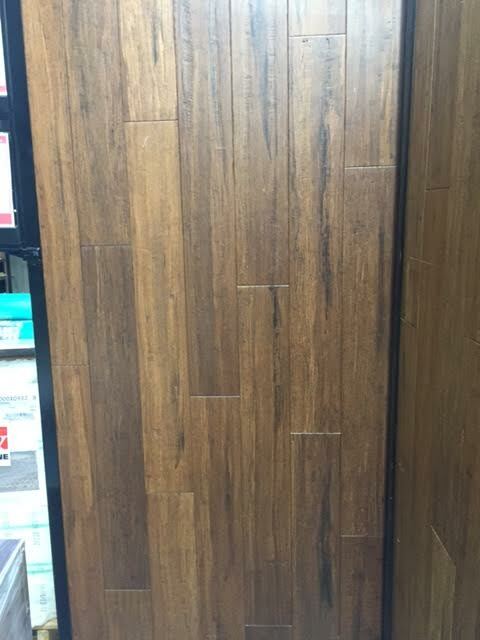 We wanted a very durable flooring, one that will withstand scratches, stains, water, pets, etc., yet have a high end look. This appears to be hand-scraped hickory, or something similar, but it's not, it's 1/2" solid bamboo and it floats instead of nailing or gluing. Changing the grout color in the kitchen is important because it makes the space look new and fresh. Updated, upscale, clean, crisp, well cared for and new are the adjectives we want to hear from tenants or buyers alike. 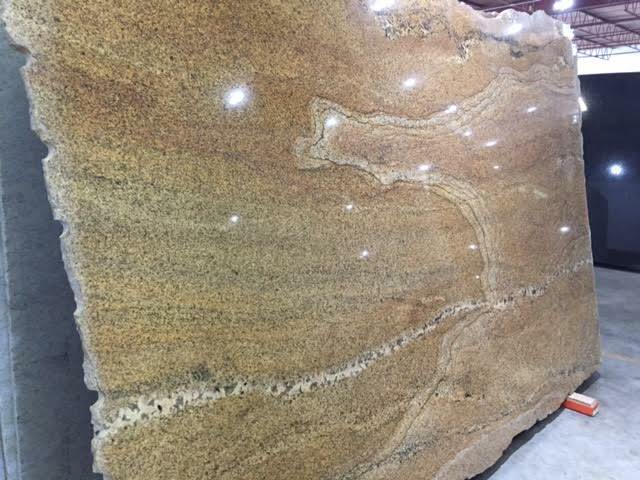 I have a wonderful granite supplier and fabricator. Believe it or not, this was considered "basic" granite! Perhaps it's a bit risky using something different like this, but let's face it, Santa Cecilia & Uba Tuba have been over used since the late 2000's...we didn't want that. Something different and more custom definitely sets the tone for the property by making the space feel upgraded & designed. This will be used in the kitchen and both bathrooms. When flipping, don't introduce numerous carpet colors from one room to the next, it visually breaks up the space and has the unintended consequence of making the space seem small and disjointed and doesn't work. Kinda like the name of the carpet sample, Anne Hathaway...the image looks "off" because you have to read the name vertically. This is how mis-matched carpeting impacts the eyes. We went with this for both bedrooms and the stair treads, which is a medium grade carpet with upgraded pad. 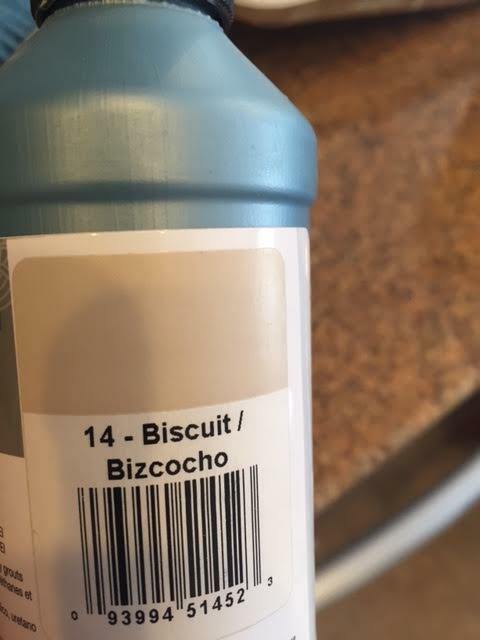 This is a color we have used since 2006; it's tested and trusted for both rentals and flips and staging. Why this color? It accentuates the colors in the wood flooring and kitchen cabinets and looks wonderful with our trim color, which is called Swiss Coffee. 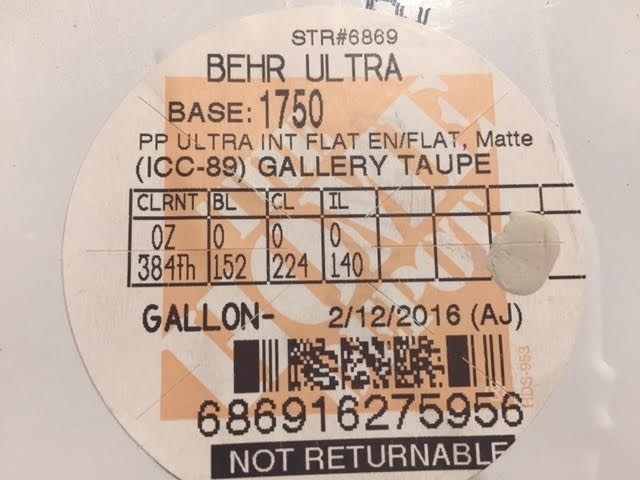 White is too stark and sterile and Builder Beige is everywhere, and since we want to appeal to as many people's taste as possible we like to use Gallery Taupe, which is a Behr product. FYI, flat or matte finish conceals imperfections and allows the actual color to be seen instead of a shine, like gloss or semi-gloss show. We never use glossy paints.